Introducing Artist Pam Garrison for ArtWalk Paris, France Art Journal Workshop! Dramatic architecture, sprawling parks, eclectic shops, old friends and new. The warm embrace of Paris as it’s foliage begins to change color. Sometimes a travel experience is so vivid, sketch and color can’t capture it all. Enter Pam Garrison, and The Blue Walk’s ArtWalk Paris, France Art Journal Workshop. This is an art vacation workshop of sketching and ephemera-collecting that incorporates lettering, watercolors, inspiring instruction, and creativity in the field. Much loved art blogger, teacher, print artist, and online presence, Pam Garrison brings her approachable style and simplified techniques to inspire participants. You will create your own keepsake sketchbook as you walk, sketch, paint and collect through Paris. 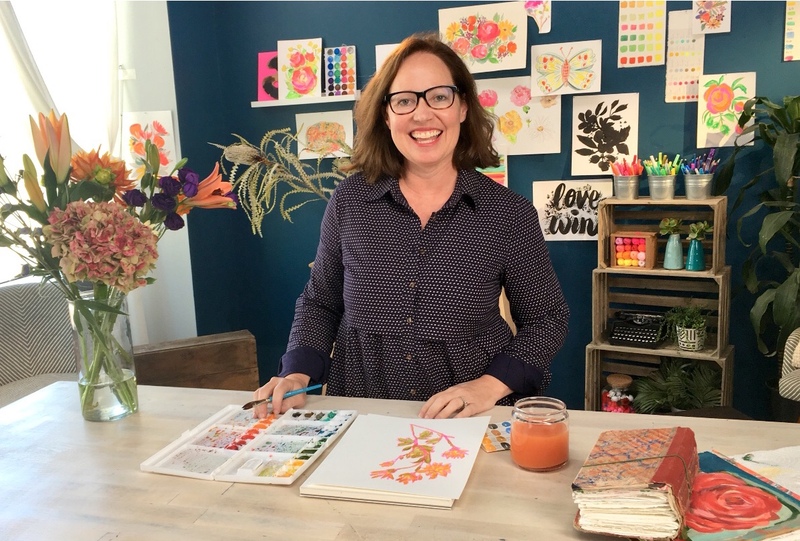 Pam is a creative adventurer who loves for her work to inspire others, to art journal, craft, paint, stitch… “Anything your heart desires!”, is her advice. Pam’s five-star reviewed courses can be found on CreativeBug.com. 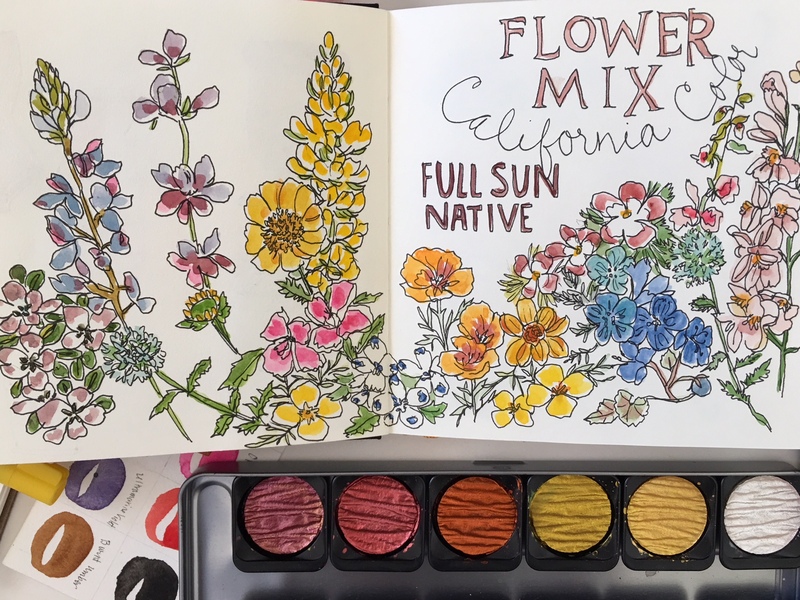 These courses include her newest, Daily Art Challenge: 30 Flowers in 30 Days, and Creative Sketchbooking, Creative Lettering, Creative Doodling, and 31 Things to Draw. Fans of her blog, PamGarrison.com, follow for her lush paintings, found-art collages, and her fun experiments in color and media. Courses she has designed, such as her Lettering Lessons: Lettering with a Personal Touch, are available for download. You can also find links and pictures there of her newest contribution to print, The Botanica Encyclopedia of Inspiration, by Uppercase Magazine. Pam lives with her husband and two children in Southern California. She tries to incorporate creativity into her life every day. Her art journals are her favorite places to play and experiment. Join her in Northern Italy, April 6-13, 2019. Make your travel art journal your favorite, too!